As many as three projects under the EEA and Norway Grants have been recognised with awards and special mentions in this year’s EU Prize for Cultural Heritage/ Europa Nostra Award! All three laureates are in the ‘Education, training and awareness-raising’ category. What is the EU Prize for Cultural Heritage? The EU Prize for Cultural Heritage / Europa Nostra Awards was launched in 2002 by the European Commission and has been organised by Europa Nostra since then. The Prize celebrates and promotes best practices related to heritage conservation, management, research, education and communication. In this way, it contributes to a stronger public recognition of cultural heritage as a strategic resource for the well-being of Europe’s society and economy. Up to seven winners will be selected as Grand Prix laureates and receive €10 000 each. The ‘In the same Boat – Young Guardians of Heritage’ project in Slovenia received at special mention at the awards. 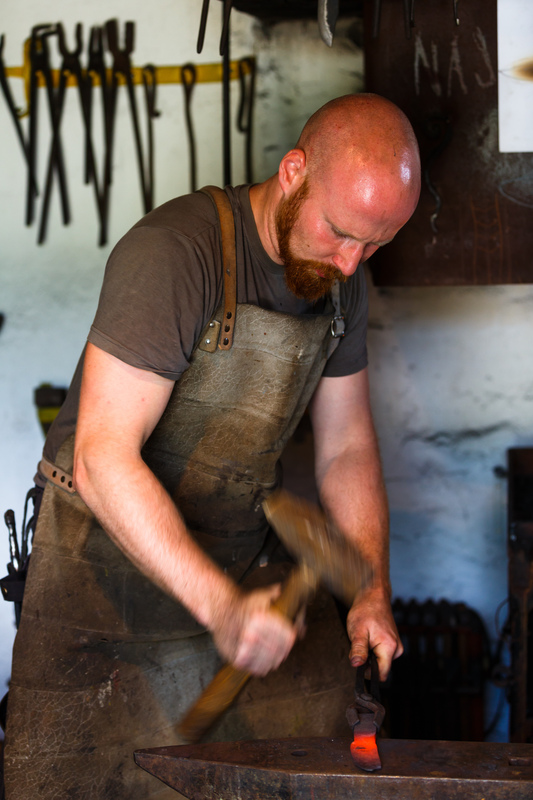 Through the project, old traditions such as boat-building, blacksmithing and linen-production is now being brought back to life. This is an excellent example of how traditional handicraft is relevant for today’s society. “We have the last living generation that knows how to survive in our area without going to a shopping mall. Precious knowledge of nature and handcrafts that was passed on from generation to generation is now better safeguarded, registered and transmitted to young people, “ says Ljoba Jenče, Founder and director of PAJN Institute for Sustainable Living. The POLIN Museum of the History of Polish Jews has received the EU Nostra Award for its extensive educational programme, focusing on the preservation and promotion of Jewish culture in Poland. With the support from the EEA and Norway Grants, POLIN has organised workshops, lectures, temporary exhibitions and the mobile educational exhibition ‘Museum on Wheels’. “We are very proud of this award. It’s a great motivation for us to work even harder to achieve our goals. Exposure to the rich and dramatic history of Polish Jews provides more than historical education: it teaches respect for people from different ethnic and religious backgrounds, strengthens the resolve to fight xenophobia, and prepares young people for life in today’s diverse society,” says project coordinator Łucja Koch. Museums can be very valuable in conflict resolution. The Centre for Visual Arts and Research in Cyprus provides its visitors with an interactive experience through workshops, discussions and other educational activities. With already over 3000 visitors, including both Greek Cypriots and Turkish Cypriots, and the highest visitation from schools, the museum has become one of the most important cultural hubs in Cyprus. “There is no other museum that cooperates so closely with Turkish Cypriots. One of the most important initiatives we have are the organised cultural trips taking Turkish Cypriots to the Greek side and Greek Cypriots to the Turkish side. The museum is located very close to the Green Line, for easier access for the Turkish Cypriot community” says Rita Severis. The past holds many valuable lessons. By studying how the generations that came before us we gain an important understanding of how our own society functions. Today’s awards are not the first ones to fall to EEA and Norway Grants projects. ln fact, ten of our projects have received Europa Nostra recognitions since 2012. This is an outstanding accomplishment which highlights the quality of the work achieved through our programmes.